Double berth in forward and aft cabins plus an 'occasional' double berth in cockpit under 'camper cover' makes a total of six berths. The Fairline Targa 31 is a popular and sought after sports cruiser which boasts maximum accommodation for length whilst retaining a large and sociable cockpit. As one should expect from Fairline, superb sea keeping and top grade build quality are standards to which others can only aspire. This boat has been re-engined with KAD 43 (230hp) motors which will comfortably propel her to 35+ kts. She has been serviced annually with no expense spared by her owners of the last twelve years, who also renewed soft furnishings throughout, She is only for sale to make way for a larger vessel. 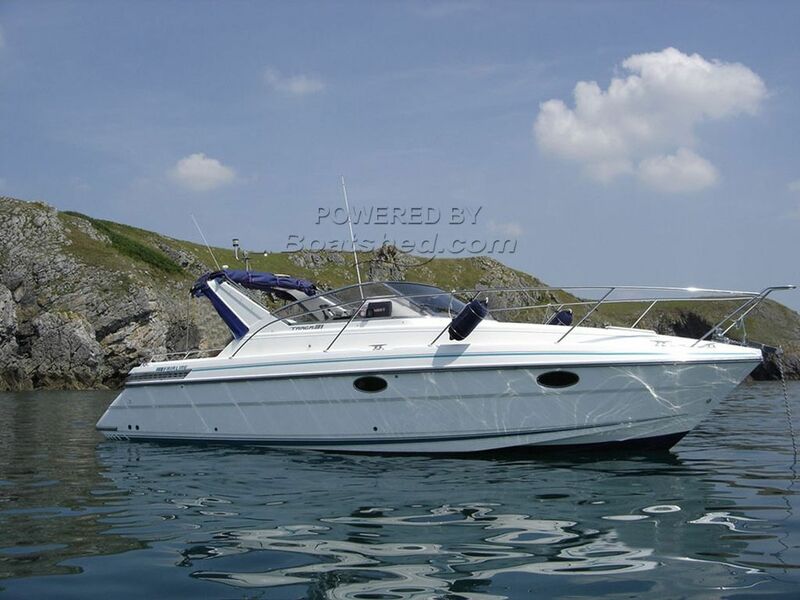 This Fairline Targa 31 has been personally photographed and viewed by Mike of Boatshed Wales. Click here for contact details.